Laid down, 13 April 1944, at Defoe Ship Building Co., Bay City MI. 277k USS LCI(L)-1054 and USS LCI(L)1062 off Agrihan Island (formerly (Agrigan) in the Marianas Islands, 15 May 1945. 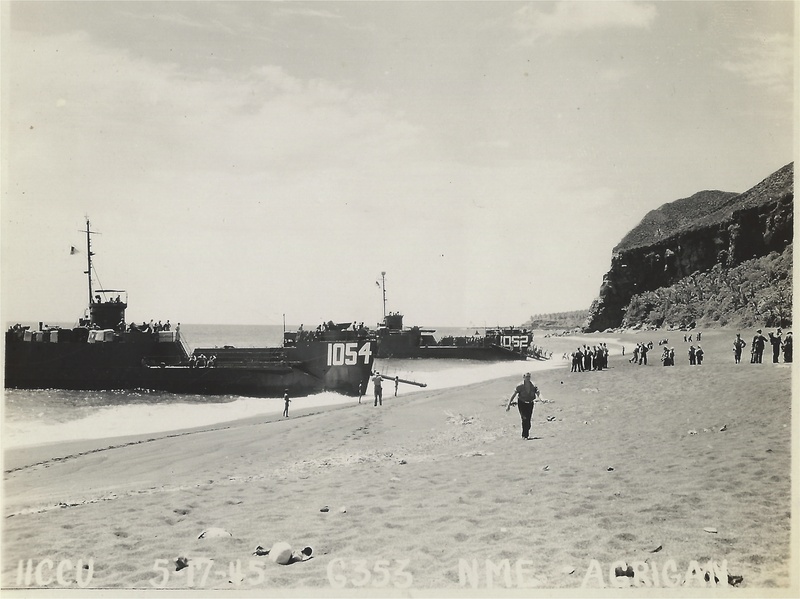 1194k USS LCI(L)-1054 and USS LCI(L)1062 beached, 17 May 1945, at Agrihan Island (formerly (Agrigan) in the Marianas Islands. "On 8 May 1945, Task unit 94.19.17, consisting of USS LCI(L)1054, USS LCI(L)-1062 and USS Marsh (DE-699) departed Saipan on an expedition of the Northern Marianas in search of Japanese hold outs and to gather detailed intelligence on the use of the islands “relative to ditching and survival of aircraft personnel returning from bombing missions”. Embarked in the ships were two platoons of the 24th infantry Division, seven air-sea rescue, escape and evasion representatives of the Army Air Forces, a language and military government officer, three native interpreters, and one cameraman named SGT Louis Locantore of the 11th Combat Camera Unit of the US Army Air Force. This photo is from his estate. 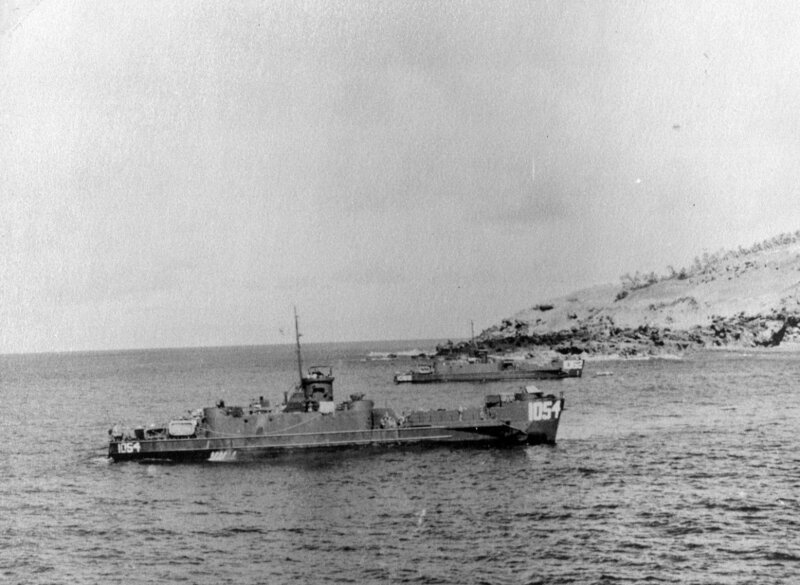 The task unit returned to Saipan on 24 May, having located Japanese on every island they visited. In all, 21 Japanese and Okinawan civilians and 62 natives were brought to Saipan for questioning and medical treatment. A visit to one of the islands resulted in an interpreter killing an armed Japanese man in self-defense when he failed to surrender. The date and location stamped the photo do not match the official reports of the mission. According to the report, the task unit arrived at Agrihan Island at 1200 on 15 May (vice 17 May), disembarked their shore parties off the Southwest beach, but found nothing of significance. On the island.